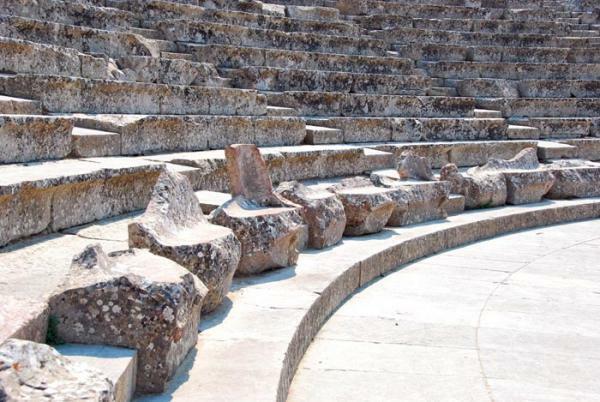 The Ancient Theatre of Asklepieio in Epidaurus: Due to its great acoustics, architectural perfection, and unrivalled harmony with the natural environment, it has been characterized the greatest and biggest stone resonator of the world, seating up to 14.000 people. 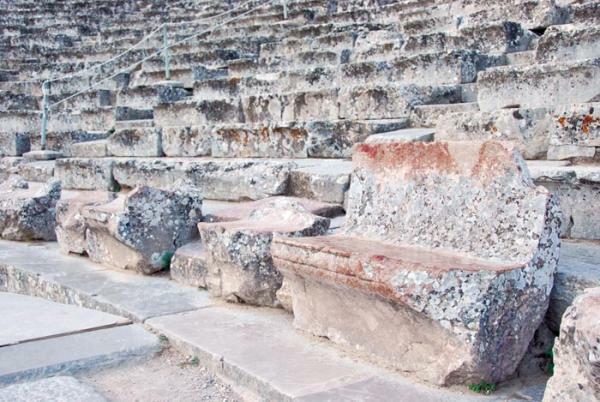 The Theatre of Asklepieio was constructed on the west slope of Kynortion Mountain, around 340-330 BC, at the end of the Classical era. Its purpose was to entertain the patients of Asklepieio and it constitutes a typical element of the cult of ancient Greeks. According to Pausanias, it was the work of the unrivalled architect Polykleitos (the Younger) and remained in use for many centuries. 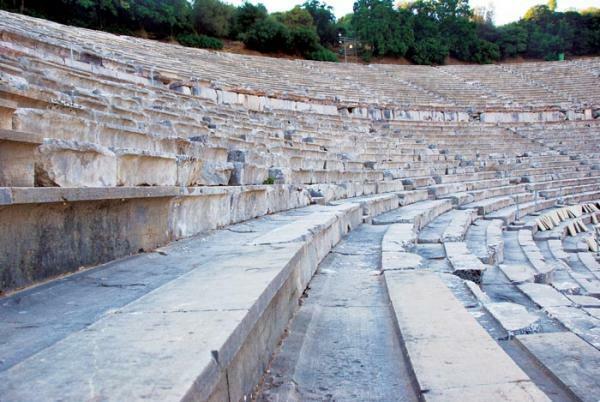 The ancient theatre was discovered during the excavations conducted by the archaeologist P. Kavvadias, under the aegis of the Archaeological Society of Athens, in the years 1870-1926. 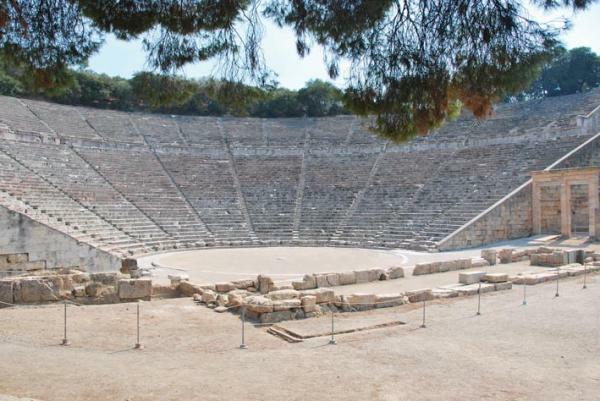 A few years later, in 1938, the first theatrical show was performed in the Ancient Theatre of Epidaurus, and it was none other than the tragedy Electra by Sophocles. During the next few years the performances ceased because of World War II. 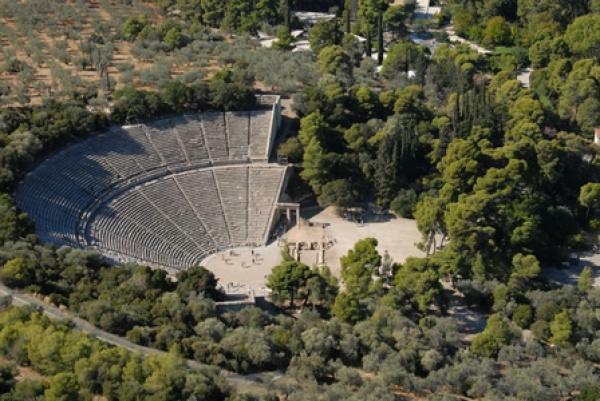 In the early 50s the theatre was under restoration, and in 1955 the Epidaurus Festival was inaugurated, with great performances in its repertoire, with famous Greek and foreign actors. 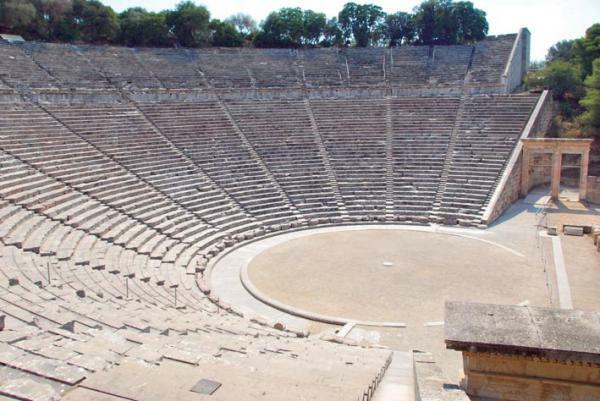 The inhabitants of Ligourio have developed, through the years, a special bond with the theatre and all that goes into it every summer. From time to time they have offered their houses to famous actors and more often than ever they have played walk-on parts in the long-drawn-out, exhausting rehearsals under the commands of great directors.